2009 Client Testimonials - Writer's Relief, Inc. I wish I’d checked out your service earlier. It occurred to me that I needed the very service you offer but didn’t know where to find it. It wasn’t until I mentioned in passing to Linda Simone at Manhattanville College that I really needed help in doing all the research and clerical work to get out queries for my manuscript. I told her I needed a pre-agent to help me find an agent, which is a big job. She suggested Writer’s Relief. You guys have been great. Your service is affordable and efficient, and while I haven’t gotten an agent yet, I’ve gotten out almost 60 queries and have gotten some nibbles. With your service I know that I am doing all I can to place my work and I am optimistic about the prospects. I hope to funnel more work though your service in the future. Writer’s Relief is like having your own office staff to help place your work. I just wanted to let you guys know that after two A La Carte targeted mailings, I received an acceptance e-mail for my short story, “Book Man,” from The MacGuffin of Schoolcraft College in Livonia, Michigan, for publication in their Spring/Summer 2010 issue. They will be sending the formal letter and agreement shortly (their words). I’d like to thank all of you at Writer’s Relief for making this so easy. An acceptance in less than 60 markets is pretty good; especially with 15 who still have not replied. I was contemplating another A La Carte round for the story, but now I’ll polish up another story and let you target that for me. I know that nothing is final until you see it printed, but it just feels good to receive that first acceptance. Thanks again, and I’ll stay in touch. I am a client using the A La Carte Plus service. I mailed out 26 copies of my story “Una Confronts Death” on August 3, 2009. By October 2, I had received six rejections. Then on October 3, I got an acceptance from Chaffin Journal. Online, it looks great, and I had never heard about it before. I am very grateful to you for connecting me with them. I’ve sent submissions before, but usually one or two at a time, and many times I’ve had to pay a reading or entrance fee (many are for contests). Usually those submissions get rejected, and I give up for a while. This was the first time I invested in my writing and the payoff was well worth it. I realized that I was getting better return on my investment with the A La Carte service, because I was submitting to up to 30 publication at the same price I was spending on submitting to only four. Plus, it’s nice to have someone else do the research so I can focus on writing my material. Thanks! Writer’s Relief has been a great support to my writing career. Over the years, I’ve gotten two (long) short stories and numerous poems published with Writer’s Relief’s help. One of my publications even won “Best Fiction” award. I rely on Writer’s Relief to research the best publications and editors for my work. I now have two poetry collections out and am getting ready to submit a manuscript of short stories. Thanks, Writer’s Relief, for keeping me on track! I chose Writer’s Relief because your services were the most complete. You explained your process clearly and concisely in your communications with me via letter and telephone. The representatives I spoke with were polite and helpful (without any sales pressure). They even gave me a list of clients to interview, and I contacted several who were more than happy with results. Your work is even better than I had expected—professional, dependable, timely, and complete. Since signing on with Writer’s Relief, I’ve had several short stories published and with your guidance I’ve signed with a literary agency. I am ecstatic with the service I’ve received from Writer’s Relief. I hold MA and MFA degrees in creative writing, am the author of a children’s book and eight poetry collections and chapbooks, and have been publishing poetry, fiction, and creative nonfiction in literary magazines since 1973. For a long time, I thought I knew everything I needed to know about connecting with editors and agents and marketing my work, but in 2008, with an unpublished book-length memoir on my computer, I decided maybe I needed some help after all and contacted Writer’s Relief. By mid-2009, thanks to you and your team, five excerpts from the memoir had been published or accepted for publication, and three agents were interested in the book. I recommend Writer’s Relief highly. Your staff members know what they’re doing and can really help. I have had nothing but positive experience with the work Writer’s Relief has done for me. With the hundreds of magazines/journals and agents out there, the task of finding the ones appropriate to one’s work is daunting. This is why the service Writer’s Relief provides is so invaluable. And the kindness and courtesy with which you provide this service is most welcome. You are an indispensable partner in the writing life. I came to Writer’s Relief with no history of publication, and one year later, we have secured representation for my novel. If not for Writer’s Relief, I wouldn’t have an agent right now. It’s as simple as that. You people are great, your edits are flawless, and the submission schedule is both efficient and effective. I am more than satisfied, I am impressed. Thank you, Ronnie and Writer’s Relief. Just a quick note to thank you for all that you and your staff do at Writer’s Relief. I’ve been a Writer’s Relief client for nine months. Over that time, I’ve received one acceptance, one provisional acceptance (the editor asked me to resubmit with changes), and three encouraging rejections from editors at top-tier literary journals. The positive feedback from editors makes all the rejection slips I’ve been collecting worthwhile—and I should add that I never would have been able to stand the rejections without the support of your service and your staff. The feedback from the literary marketplace, along with the rigors of preparing manuscripts on a regular submission cycle, has proven to be a magical combination for me as a writer—my confidence has grown, and along with it, I believe I’m producing higher-quality work. I never could have made this kind of progress without Writer’s Relief. I’ve had several poems published this year, thanks to Writer’s Relief. I was, and am, happily surprised. In addition, you won’t find any organization with such cheerful, courteous, and kind staff anywhere. I was raised in France and know manners, and I can tell you that this group of people are good at what they do and are a pleasure to deal with. Good luck to each of them! Just as I clean my own house, do my own laundry, tend my own garden, etc., I sent out my work in the same sloppy way with the same haphazard results. By working with Writers Relief, not only have I gotten published many times in the last year, I’ve begun relationships with editors and magazines that I hope will last for years. Writer’s Relief opened many doors for me, and later when two publications wanted the same work, answered many questions. Professionals need professional help. What are you waiting for? I took a chance with the Writer’s Relief A La Carte service and was accepted for publication with the first piece I sent. I will be using them again. 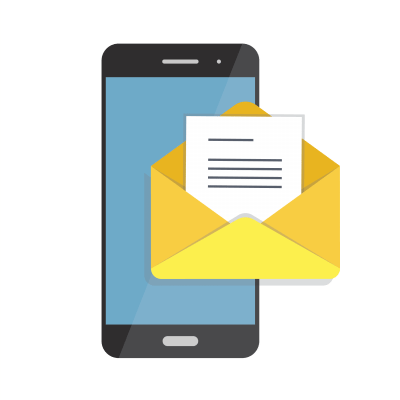 It greatly simplified the submission process. The editor even asked me if I had anything else. Great! Many writers are busy people, with barely enough time to write, let alone submit their work. As a poet with a tightly managed schedule, I greatly appreciate the care Writer’s Relief takes with my work throughout the entire submission process from beginning paperwork to the alphabetically printed labels I use on my submission packets. Your meticulous methodology ensures that my poems reach the right readers in a timely fashion. My poems have been published because of Writer’s Relief assistance. Needless to say, I’m delighted. I want to specifically commend and thank you and your always available staff for your help. After writing for many years and collecting reams of ideas and drafts, you have gotten me out of the closet and into the world of readers. It was impossible to step over the publishing threshold by myself, and I am about to be published twice this year, with a third acceptance pending. Not only do you manage the overwhelming number of details, you have found wonderful publishing possibilities and are unfailingly patient with my questions. My life is changing in exciting ways! You do such a fabulous job of “casting the glamours” on my work, that when I look at what your team does, I see the shift, the shine, the sheen that separates professional from unprofessional work. I’ve learned about becoming a better writer by working with Writer’s Relief. After enjoying publication success as a full-service customer of Writer’s Relief, I brought out a book of poems. After a couple of years, with enough new works, I returned as an a la carte client. Due to the excellent targeting by Writer’s Relief, I received two acceptances in my first submission cycle and have enjoyed three more acceptances since then. The staff is unfailingly helpful, friendly, and encouraging, and the bottom line is, the Writer’s Relief system WORKS! 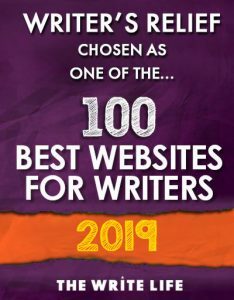 I wholeheartedly recommend Writer’s Relief to any aspiring writer who wants the satisfaction of seeing his or her creative efforts rewarded by publication. I have been so pleased with your service and the quality of help I have been getting from any one of the wonderful people in your office. I could never have navigated the jungle of correcting and proofing my poems, as well as the submission process to the appropriate magazines without your expert service. In the short period of one year, eight of my poems have been accepted in different magazines. Thanks to you I have stopped being a closet poet. Anyone who has worked with Writer’s Relief will tell you that you’ll be marketing your work more frequently than you ever imagined. The punctuation experts there will be sure that commas, semicolons, dots and dashes will be in their proper places. But Writer’s Relief offers much more than the obvious. I’ve found a place to talk about this difficult business of marketing my writing—sharing ideas, welcoming suggestions, and gaining a professional friendship that I, as a writer working alone, have missed. I sometimes say that your staff members are my personal cheerleaders, psychologists, and friends. Writer’s Relief has been a wonderful gift that I’ve claimed for my dreams. Our craft is, in a way, a solitary one, but it was ever lonelier for me when I wrote knowing that each new story, finished and polished, would join the others I’d written in a quiet stack in a dark drawer, perhaps never to be seen. I could not keep from writing, but I had no time, energy, or know-how to enter the publishing world and find my reader. Very occasional attempts to send something out were not yielding results. After all, writing fiction rarely pays the bills, and I work three jobs while writing my doctoral dissertation and taking care of my family. I didn’t think of myself as a writer; just as someone who wrote stories when she could not contain them anymore. And then I came across Writer’s Relief. Initially, I found their newsletter—I don’t remember how. It looked interesting and it was free. I subscribed for the tips but found myself looking through the lists of themed issues, anthologies, and competitions. One publication, Workers Write!, drew my attention with the good humor of its title and the theme of its annual issue: “Tales from the Clinic.” The journal was accepting electronic submissions, which didn’t look like much work, and I decided to send in a short short I had recently finished based on my experience as a medical interpreter. Their acceptance was as unexpected as it was life altering. Some editor thought that my tale was worth sharing with his readership, and suddenly, I was a published author. With new eyes, I looked at my stack in a dark drawer, at my schedule, at the impact I could make on the world—and the next time Ronnie announced that the panel would be reading submissions, I applied to Writer’s Relief. I didn’t—nor do I now—have money to waste, but I thought it might be worth it because I knew that without help, I would never do enough research into appropriate markets to send my writing out systematically. This was just over a year and a half ago. In the space of 19 months, Ronnie and friends have taken me through 10 submission cycles. They’ve prodded me when I was late, pored over my bilingually minded punctuation, and put up with my emergencies and my endless questions about editors, double acceptances, and pen names. Without knowing it, they’ve prompted me to join a writers’ group and workshop my new stories. Without knowing it, they’ve prompted me to enter a regional slam and win it, to read at an open mike, to get an invitation from an editor to send in my poetry, and to take a writing seminar. Today my work has been published or is forthcoming in descant, The Evansville Review, Quiddity Literary Journal, Workers Write!, Mad Poets Review, Out of Line, Phoebe (Oneonta), a Lantern Books’ anthology (Please, Can We Keep the Donkey? ), Pegasus, The Scriabin Society of America Magazine (translations), and The Global Spiral (academic work). I am also thinking of putting together a collection and asking Writer’s Relief to help me with the query letter. I am sure, my friend, that your needs are different than mine. But I am sure also that, from time to time, we all could use some help. I know I would not be where I am now with my writing if I did not ask for help from Writer’s Relief. Writer’s Relief has not only helped me get eight of my poems published this year, but they’ve also supported me with professional advice about dealing with editors and what to do when the same poem is accepted by more than one publication. I also appreciate how quickly the staff responds to my questions, the terrific line editing they provide, their knowledge of the market, and how easy they make the submission process. Because Writer’s Relief researches the markets, editors, and closing dates, I’m free to do what I love: write. My poems will be published this spring in Red Cedar Review, Cairn, Pisgah Review, Ellipsis, Soundings East, and Compass Rose. Thanks, Writer’s Relief! I decided to use Writer’s Relief after I saw an essay by a former employee and writing colleague in a prestigious journal I subscribe to. A month later she was listed in Poets & Writers as a winner of a writing prize from her state. Although we lost touch, I found her and asked her secret. She said, at first, it took about a hundred submissions to get one acceptance, but then she started to publish regularly. Just five years “in” with Writer’s Relief, she has a book coming out. We agreed writers are often right-brain, and we write and write, but when it comes to the submission par, we freeze. “Think of the cost as giving up a latte a day,” she said. Tucked into my “positive rejections” file, which is about half an inch thick, I then found letters from extremely famous writers and top-notch magazines and journals in hand-signed format. Did I ever send back to those magazines or refer to those signatures? The result was file drawers and computers filled with novels and stories, mostly unsubmitted. Now I feel I’m starting all over, but by giving myself the gift of Writer’s Relief, I’m at least cheating the self-sabotage monster. Writer’s Relief staff is supportive, enthusiastic, patient, knowledgeable, and friendly. The market is well-researched, [they give] an impeccable product, and they bring home the bacon. Special thanks to Kriste—it’s a pleasure to work with her. I wanted to write to you directly to let you know how much my association with your company has meant to me. I started out 8.5 years ago with the hope that I could get half a dozen poems published. I’ve had over 75 acceptances. I can’t tell you what a thrill that is to me. I wish you all the best of luck and extend my heartfelt thanks to you and your staff. I am a busy lawyer and have been writing stories for decades and sending them out sporadically. After only one month with Writer’s Relief, a publication, which rejected a story, solicited an essay. One month after that, my story was accepted for publication in another journal. The proofing of my stories has been great, and the results have caused me to write more stories. The submission list was invaluable! The structure, support, and encouragement was icing on an already delicious cake. Thank you for helping me get my work out there! With the busy work schedule and the preference to write (rather than do market research), I would never be able to submit half as many stories as I do with your help. I admire your attention to detail and personal approach. All my questions are always immediately answered. Thank you for your professionalism! I became a client of Writer’s Relief out of frustration. I was spending too much time preparing poetry manuscripts for markets that were simply not interested in my work. My first round of submissions managed by Writer’s Relief led to a publication. In six months as a Writer’s Relief client, I’ve gotten 15 poems circulating in 85 markets—something that would have taken well over a year for me to manage on my own. Their ability to target markets for your work increases the odds of acceptance, and their assistance in editing and manuscript preparation frees up considerable time to write. Their patient advice about the ins and outs of the publishing game has been a godsend for a rookie like me. Thanks to Writer’s Relief, I’m writing more and, as a consequence, writing better. Thank you, Writer’s Relief! I wasn’t sure at first what the results of working with Writer’s Relief would be. I was honestly a little skeptical of using a submission service, and I also felt confident that I knew how to prepare my own manuscripts. However, after dealing with the frustration of rejection after rejection, I decided to give it a chance. Also, my work in the corporate world made it difficult to manage the actual submission process. I felt good if I got a small batch of submissions out every six months or so. Writer’s Relief helped me find markets for my work that I never knew existed and put me on a schedule that corresponded with journal reading periods, as opposed to my own whims. My manuscripts came back much cleaner than I had ever seen them—I am a good proofreader, but I’m not that good—and were ready to be sent to markets that I had not considered in the past. The real value in working with Writer’s Relief is that it takes the pressure off. Now if I am working on something new, I never think, “But where could I ever place this?” I just write and I write what I want. I write much more for myself and for my own satisfaction than I had been doing in years past because Writer’s Relief handles the administrative details that sometimes stressed me out, the market research that takes up valuable writing time, and the catching of little errors that can make journal screeners put down your manuscript without giving it a fair shake. Years ago, I started writing for myself—not to build a publication list—and it is a joy to be back to that place and have gotten the publication list along with it! The Writer’s Relief staff has always been helpful, flexible, and responsive. The money spent on their services has translated directly into publications. My acceptance rate increased from one or two every three or four years to seven in the last year and a half. I recommend at least trying their service for at least two cycles (four months) and seeing what comes back in the mail. I would like to thank everyone at Writer’s Relief for the excellent services you all have provided. I would also like to thank you for fixing a long-standing behavioral problem of mine. I suffered from a bad case of writer’s anxiety—an annoying psychological glitch that caused me years of hesitation, even trepidation over my work. I would send out a few pieces, feel the sting of rejection, then crawl back into my brooding, literary funk. When the sting wore off, I would repeat the process—submit, get stung, then the funk. I engaged in this annoying behavior (for more years than I would like to admit) until I discovered Writer’s Relief. In a year’s time I have received two acceptances for my short fiction. Now, I’m actually enjoying writing and all its associated endeavors instead of being tortured by it. Remarkably, I even like getting the mail! So, thank you again and forever. Writer’s Relief has met all my expectations. I have a very busy schedule, and without your help, I could not get my stories out. I have had one story published under your guidance and hope this is just the beginning. My decision to go with Writer’s Relief changed the course of my work. With their professional handling, my stories are being accepted for publication, and I’ve gained the confidence to move ahead to sending out more work. I’ve found the staff to be solicitous and kind. My work has appeared in The Fourth River, Sou’wester, Front Range, The Chaffin Journal, The Rio Grande Review and Writing on the Wind: An Anthology of West Texas Writers. I was named a finalist in a recent Blue Mesa Review fiction contest. I appreciate very much what you have been doing for me. I would never have had the time or energy, and I am not organized enough to keep all these poems going out to potential editors. I am now working on my third book of poems, which will take time and revisions. But without the deadlines, perhaps I would not have even written as many poems or gotten them ready for publication. I am very grateful. I am also glad to have somewhere to mail the rejection letters, as it seems to take the sting from receiving them. Superlatives galore for Writer’s Relief! They know the market and they keep the fires glowing, if not burning. Can’t say enough good things about the staff and their ready-steady-go attitudes. I heard about Writer’s Relief through a casual conversation with a friend. It turned out to be the miracle I needed. During the year that I have worked with Writer’s Relief, I have written six personal narrative essays and two have been accepted for publication in literary journals. The chances that this would have happened without this organization are nonexistent. Their extensive database of journal information, along with their understanding of what each is looking for at any given moment is what makes it possible for them to know exactly how to target my work. Although there have, of course, been the expected rejections, many of these have come with encouraging words from editors, along with invitations to submit more work. The staff of Writer’s Relief has been so supportive and patient with someone like me, who is severely comma-challenged. In addition, the pressure to produce a piece of writing every two months has clearly impacted my writing and has helped me to go deeper into authenticity and a willingness to take risks. I’m actually beginning to believe that maybe I am a writer; this is an amazing, wonderful and terrifying discovery. I think you have to be ready for Writer’s Relief; but when you feel intuitively that you are finding your voice, there can be nothing better than this kind of support. Thank you for my recent publication successes. Without Writer’s Relief, I would not have thought to send my work to these particular magazines. I wanted to let you know that Minnetonka Review accepted one of my other stories, and Chautauqua just got back to me, saying they wanted to publish “Revelations” (already picked up by Zone 3), so I sent them two other stories to consider. Thanks for all your help. I guess I’m on my way!